Cheap flights to Netherlands: Prague-Amsterdam for €53! 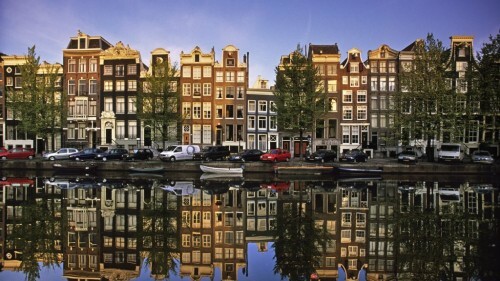 Easyjet now offers cheap flights to capital of the Netherlands. 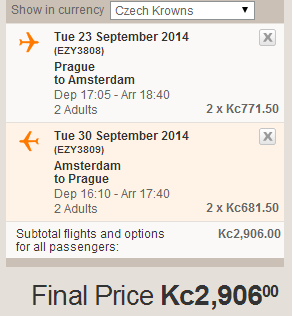 Return flights from Prague to Amsterdam are available from €53 / 1453 CZK! Travel dates are in September 2014. This price is valid if you travel in 2 persons with cabin luggage up to 56 cm with unlimited weight. Many other dates are available for slightly higher price. Amsterdam offers extensive range of accommodation from cheapt hostels and guesthouses for €15-€20 per night to super luxurious 5 star hotels. The city itself is fairly expensive for Europe but if you shop around a bit you can find many great deals! « Cheap flights to Thailand: Bangkok from Prague for €446!